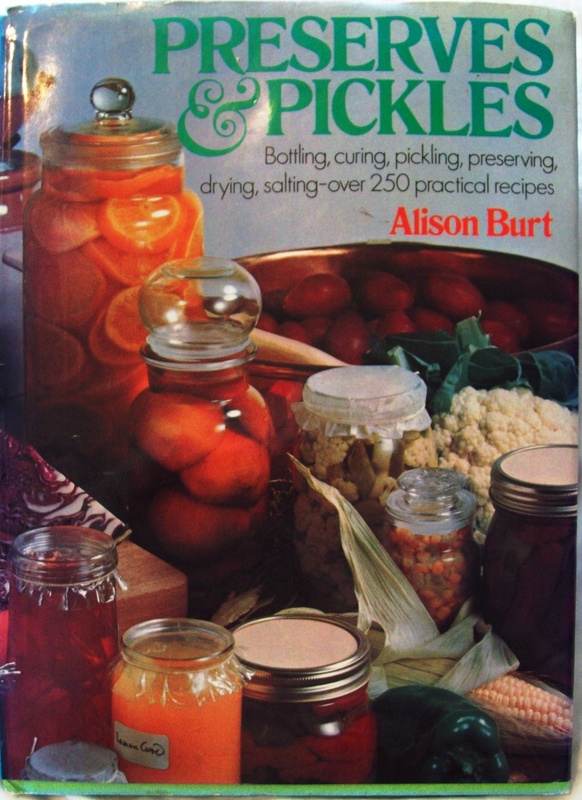 I don’t want to pick on Alison Burt, or the book, because I really enjoyed reading it. However, I think some of the advice is outdated. 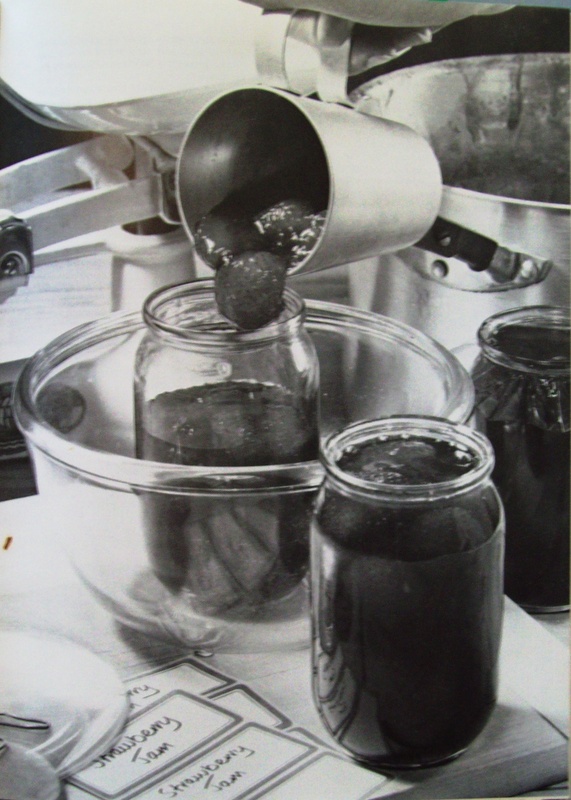 As I covered in my How to Make Jam post, anything published before about 1990 should be treated as a little suspect – you should get a second opinion, otherwise you risk getting food-borne diseases, such as botulism. 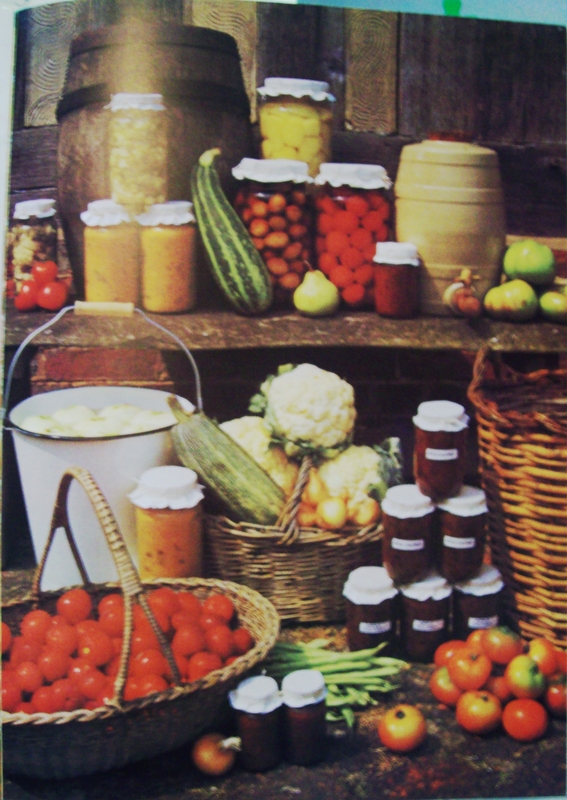 I’m very keen to make Apple Jam, which I’ve never heard of before. But because apples are a low-acid fruit, you betcha I’m going to check out what the USDA says on the matter before I get out my Lovely Jam Making Pot. You know I love making marmalade. But my friends and relations would have me institutionalised if I made four different types of marmalade. 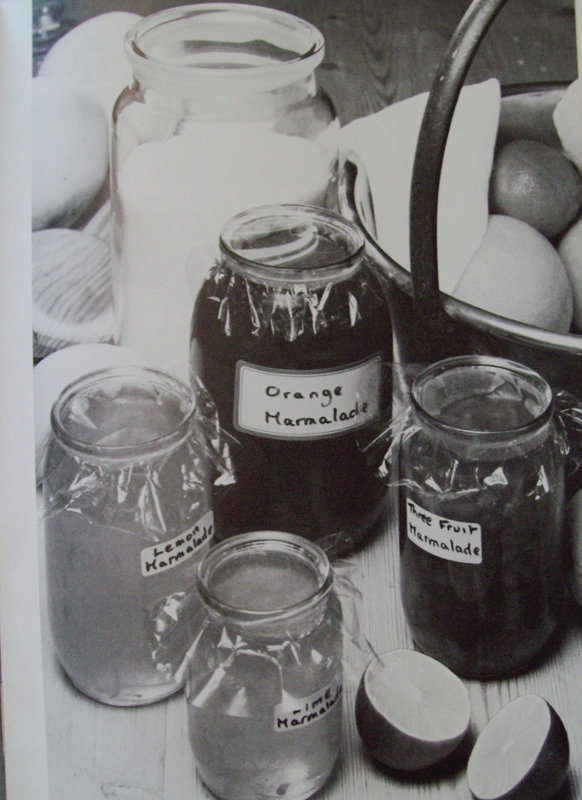 Maybe people actually ate marmalade in 1975? If I had a sweet cabinet like that, I’d only display my little ceramic civil war figures, good china, and poesy of pink and purple daisies – preserves out to be kept in the dark, or you’ll get oxidisation. But look at all the different types! I wish I’d been around in 1975 – it was obviously a happening place, where no slice of toast went unadorned with preserves of all types. …Like Strawberry Jam. Is it just me, or does this picture make you feel a little bit ill? There’s something visceral about it – and red never translates well into black and white. Ugh. 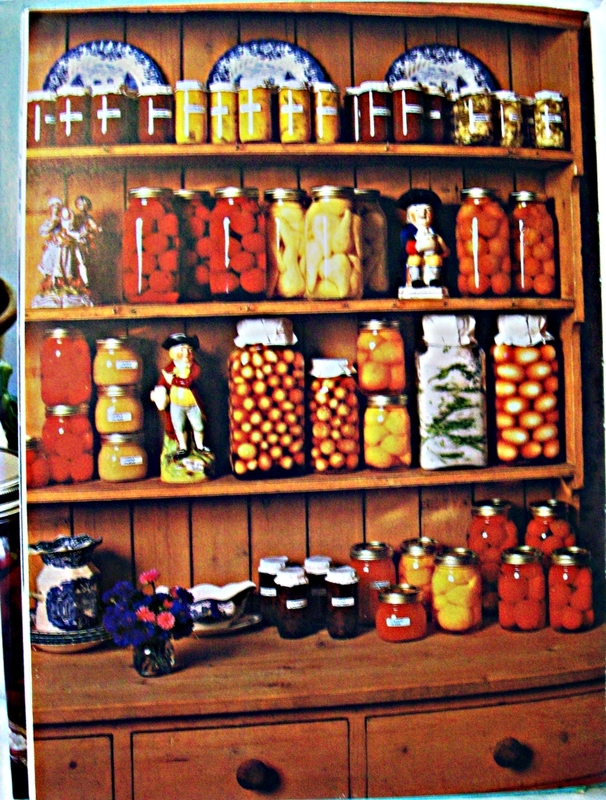 This is totally how I store my preserves: artfully arranged in a rustic setting, surrounded by fresh produce. Yes indeedy. What old fashioned recipes do you use? Let me know in the comments!